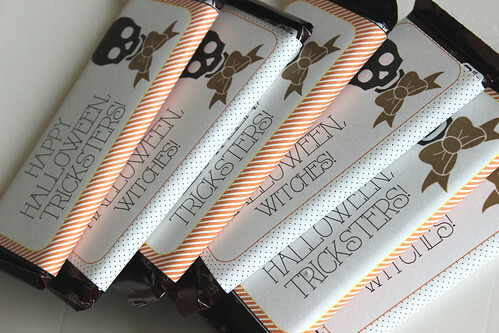 Today's blogpost covers one of my favorite topics...candy! 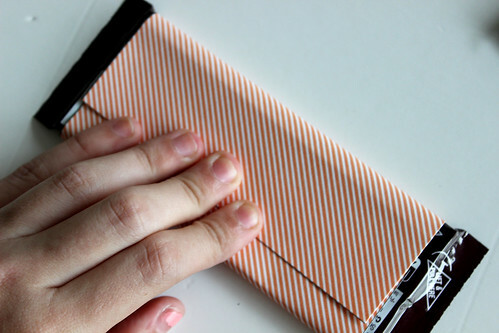 In fact, it literally covers it! 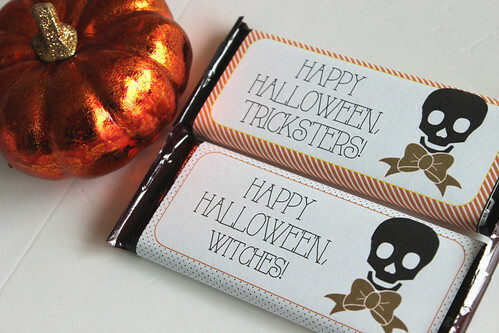 I made these adorable Halloween candy bar wrappers to give my candy a little extra flair! Who wants boring wrappers anyway? 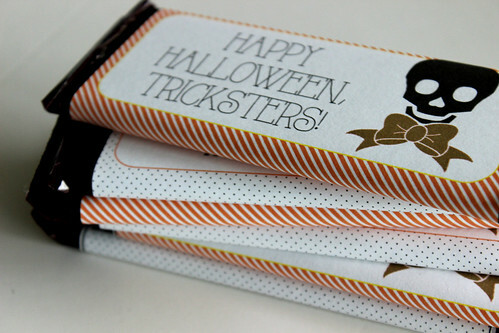 Below is a step-by-step guide to getting your candy bars to look this good! 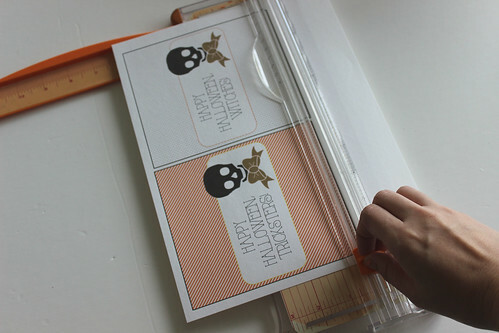 I've also included a link to the wrappers I designed down at the bottom as a FREE download. 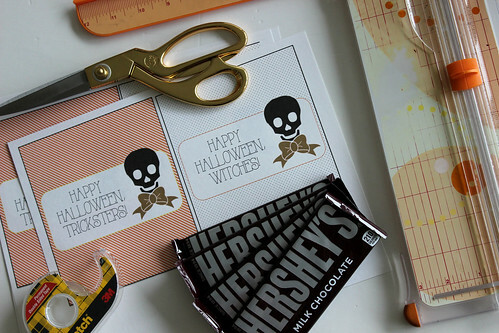 Take them and make your candy pretty! 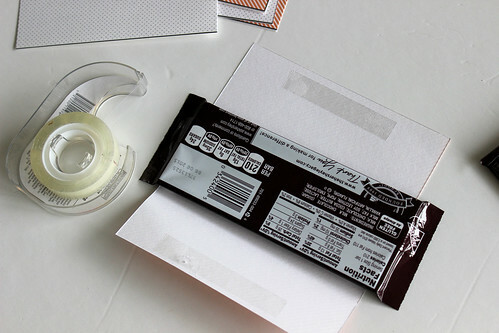 Step 1: Print out the wrappers and trim off the extra white paper. 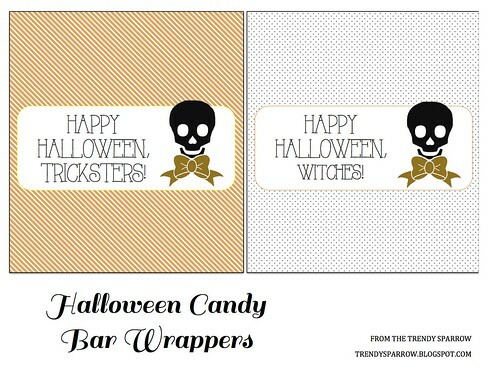 These adorable printable candy wrappers are available for you to download as a PDF here. 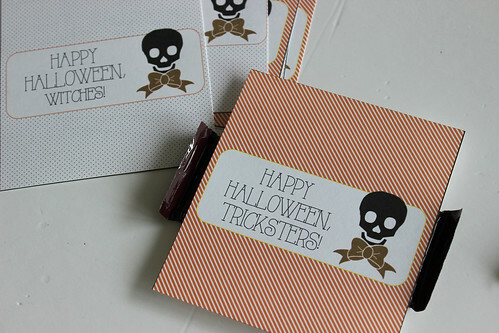 For more ideas, check out my Pinterest Board of DIY crafts and ideas and Holiday ideas.